I can’t believe that I’ve never written up Design Tools Monthly (though I have featured info from them in the past). DTM is billed as “The Executive Summary of Graphic Design News” and I’ve been a subscriber for more than a decade (they began back in 1992). It is that summary and much more. They used to have a pitch on their mailing envelopes that presented two options: you can spend all your time keeping current with all the new software, hardware and graphic design news OR you can make a living doing graphic design and read DTM. I think that is on the money. I’m a long time subscriber to MacWorld, Mac|Life (formerly MacAddict) and Photoshop User (published by the National Association of Photoshop Users) and between them they do a pretty good job on keeping me informed about Mac-specific news. But DTM monitors those magazines (and websites) and a host of others, including Creative Business, Graphic Design:USA, InDesign Magazine, CreativePro.com, MaxFixIt, MacInTouch, MacNewsNetwork, The Mac Observer, MacUser, InDesign Secrfets, Planet Quark, MacUpdate and Web DesignNews. 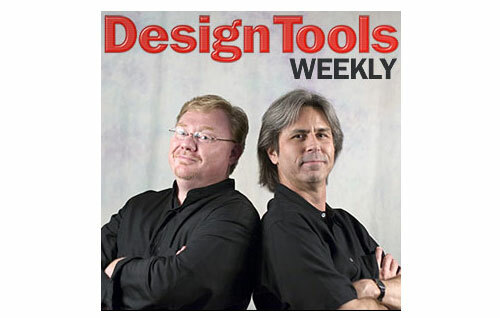 In addition to the monthly newsletter editor Jay Nelson and contributor Jeff Gamet host a free podcast Design Tools Weekly that covers some of the same items you get when you subscribe. If you are a designer, you simply must check DTM out. On their website you can get a free PDF of a sample issue to help you decide. There’s also a reduced subscription rate for freelancers, teachers and students.